This product was recommended to me by my stylist for those days when I want to leave my hair naturally curly. 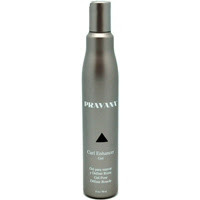 I love this gel, it's not sticky and it's really a "no brainer" to use for styling. I would definitely recommend this if you have curly hair or wavy hair that frizzes easily, if this product works in Carolina humidity, it will work anywhere. After I wash my hair I blot my hair dry with the towel. I use about a quarter size amount of product when my hair is still very wet and comb through with a wide tooth comb. Sometimes I hairdry (but rarely). 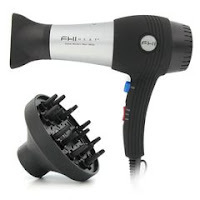 Usually I dry my hair using my FHI Heat Nano Weight Pro 1800 with the diffuser attachment made for curly hair. I flip my hair over my head and place a loose section of hair in the head of the diffuser and scrunch the hair up to the crown of my head. When I style my hair curly I always use a low heat setting. Typically I will dry it 90% before spraying with hairspray and then I let the rest air dry.